If you’ve ever used instagram you’ve more likely than not stumbled across the incredible account of @talinegabriel. Author of her very own ap & cookbook (hippie lane) and curator of one of the most delicious looking accounts on the ‘gram Taline is an absolute genius when it comes to healthy cooking and beautiful food styling. 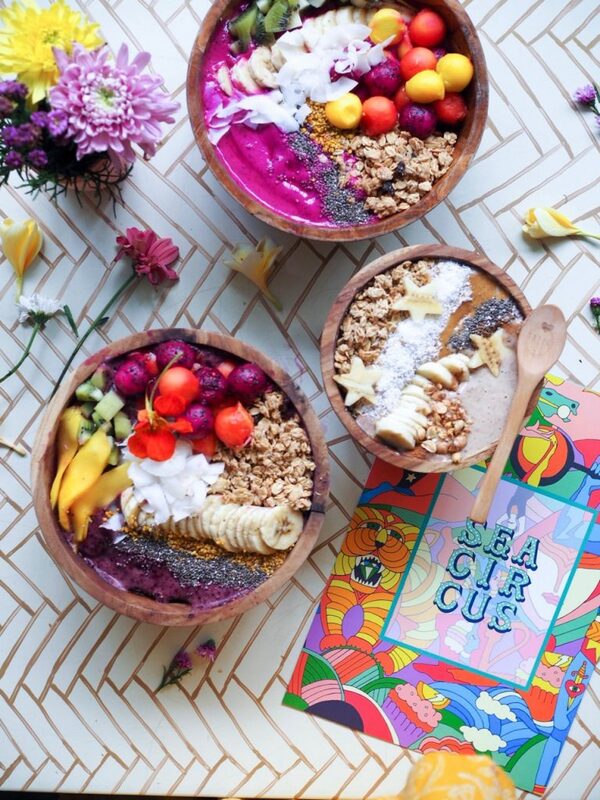 We were super lucky to be able to spend the day with her at the circus on her recent Bali trip and together we came up with the exclusive ‘Sea Circus X Hippie Lane’ smoothie bowl. This bowl is a creamy blend of banana, peanut butter, cinnamon and soy milk and is topped with signature star decorations. Make sure you try it on your next visit to the circus – it’s available all day long from 7.30am.